My spoils from New York Comic Con didn’t stop at Welcome to Showside. 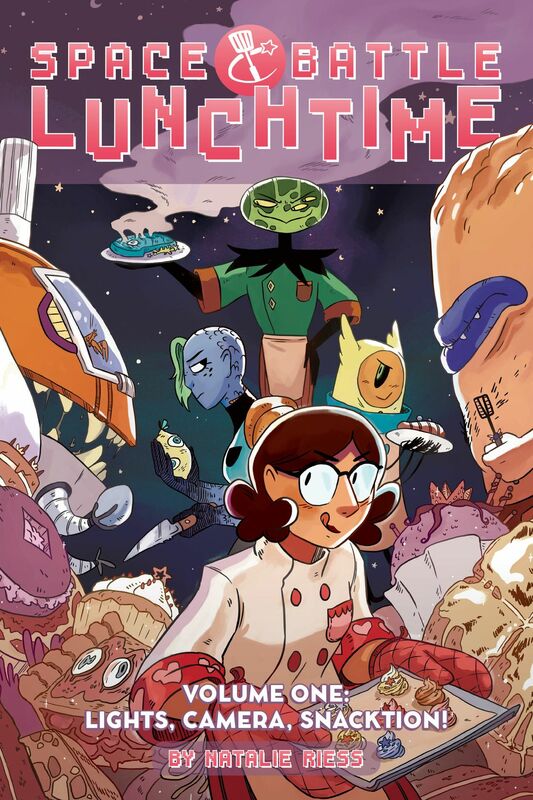 I continued to purchase from the vendors and picked up Natalie Reiss’s Space Battle Lunchtime Volume One: Lights, Camera, Snacktion!, which can be quickly described as Iron Chef in space with shonen/shoujo elements, from the Oni Press booth. With this premise and adorable artwork, I knew I had to give it a shot, and I was not disappointed.